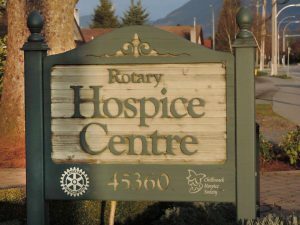 Chilliwack Hospice has been in operation since 1986 and is a registered non-profit charitable society. The Hospice Society is a partner in delivering the services of the Chilliwack Hospice Palliative Care Program. We believe that every person has worth and a right to be treated with gentleness and respect. We believe that every person has the potential to experience hope, wonder and joy. We believe that diversity and inclusiveness are vital to the strength of our organization. We believe that the strength of relationships in our organization is based on trust and open communication.